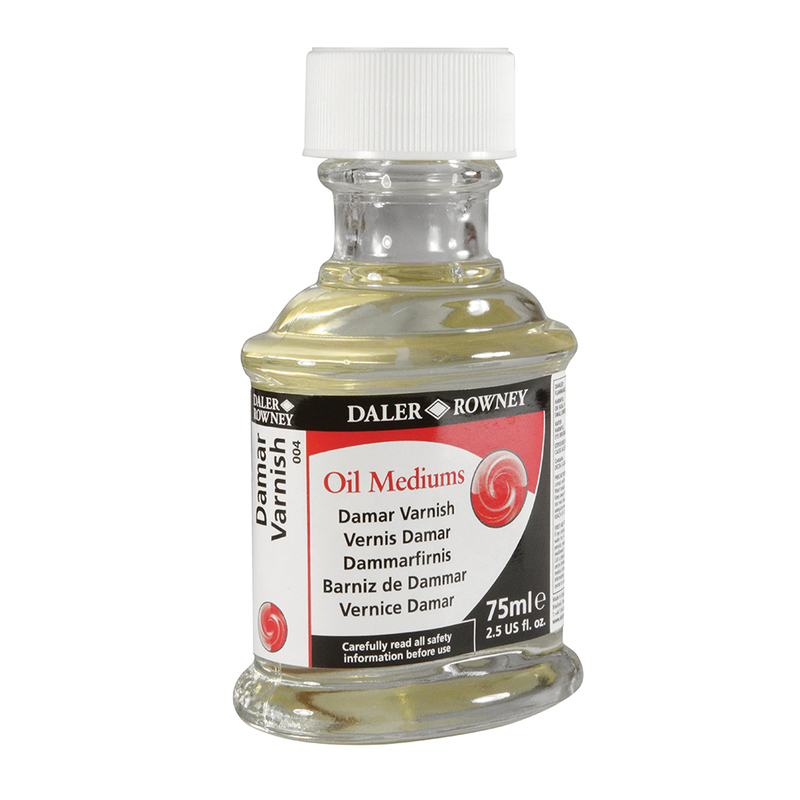 Daler Rowney's Damar varnish has a low gloss finish and is removable. Damar Varnish dries in a few hours when applied thinly and will create a hard, clear film. This varnish can be removed with turpentine or white spirit. It is compatible with both oils and acrylics.